Donald L. Moreland, age 81, of New Rumley passed away Friday, April 20, 2018 in Sunnyslope Nursing Home, Bowerston, Ohio. Born August 16, 1936 he was a son of the late Lester and Laura Harbold Moreland. He was an semi-truck driver for the former Consolidated Freightways, retiring in 1997. 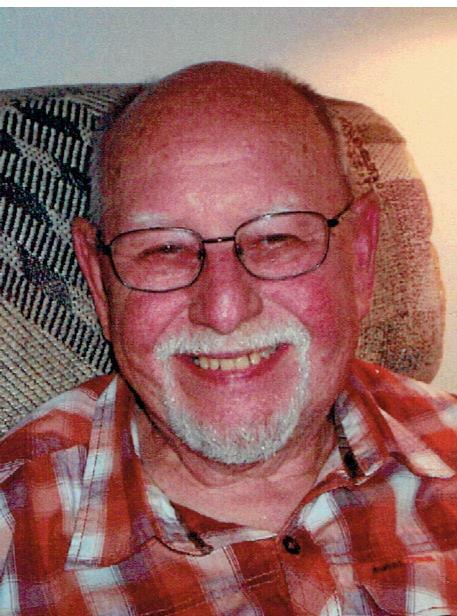 Donald was a member of the Teamsters Union who enjoyed gardening and helping others. Surviving are his wife Sharon L. King Moreland whom he married October 29, 1982; children David (Robin) Moreland, Scott (Wanda) Moreland, Mark (Karen) Moreland, Kevin (Susie) Moreland all of Virginia, Lori (Brian) Walton of New Philadelphia, Kenneth (Kristina) Moreland of Florida; grandchildren Michael (Alyson) Moreland, Marissa (Joshua) Moreland-Solomons, Shannon (Tommie) Shonk, Christopher Moreland, Brian Moreland, Jordan Moreland, Jillian Moreland, Jeremy Moreland, Jason (Jessica) Moreland, Dennis (Kristen) Moreland, Tiffany (Richard) Moreland Scearse; great grandchildren James Evan, Jaycee, Ethan Moreland, Jada and Jolie Rowlands, Alexis, Natalie and Bentley Scearce, Max Barr and Kadence, Elliott and Natalee Anthony and Kendra Shonk; a sister Marilyn Colaner of New Philadelphia; a brother Paul Moreland of California; a sister-in-law Roberta Moreland of Florida; his mother-in-law Betty Jane Burton and a brother-in-law Mehrl (Linda) King both New York and numerous nieces and nephews. Donald was preceded in death by a sister Esther Moreland, a brother Richard Moreland and a granddaughter Jennifer Moreland.